Now, meet his better half. Stacia Kelly is very much like Nick, and you’ve already met her if you’re a listener to The Shared Desk. She is a bodybuilder, a health advocate and consultant, and a talented writer. Tonight, Stacia bring to you all her take on world building and setting the stage for your characters. Thank you, Tee, for letting me come share my love of world building with your readers. I write Urban Fantasy with my husband, Nick Kelly, and Paranormal Romance with the voices in my head. It can get a little crowded unless I get the words on the page. It’s very rare I set my characters in a familiar environment; instead, I take delight in creating my own realms. I think that’s what really drew me to sci-fi/fantasy when I was a kid. You can lose yourself in the creation of a world all your own. I get to create the mountains, the valleys, oceans, and everything in between. Of course it took me years to understand that I had to include the laws of physics for my realms. Yes, I can include two moons I just have to make sure the explanation is accurate or plausible for the reader. And, as we learned during a brainstorming session with my 10-year-old son on his screenplay if we’re going to explode the Sun we can’t go to Jupiter as a new home, physics requires we jump solar systems. Traditionally, I start out with creating a hand-drawn map. I tried using Bryce, I believe it’s 3-D, but the learning curve on the software was just too drastic for me. Plus, it was proving a great way for me to procrastinate instead of working on my writing. Instead, I have great fun drawing out the maps (now on the iPad rather than pen and paper), adding in the topography, and then the naming of things. I take just about as long naming planets, continents, and cities as I do in naming characters. Each of them has to have meaning, depth and layers to unravel. I would probably have a lot of fun if the local city planners let me name some of the streets around here. I’d come up with something far more creative than just “Dirt Road” as I’ve seen on a number of roads in Virginia. I think Steampunk Alley would make a great street name. 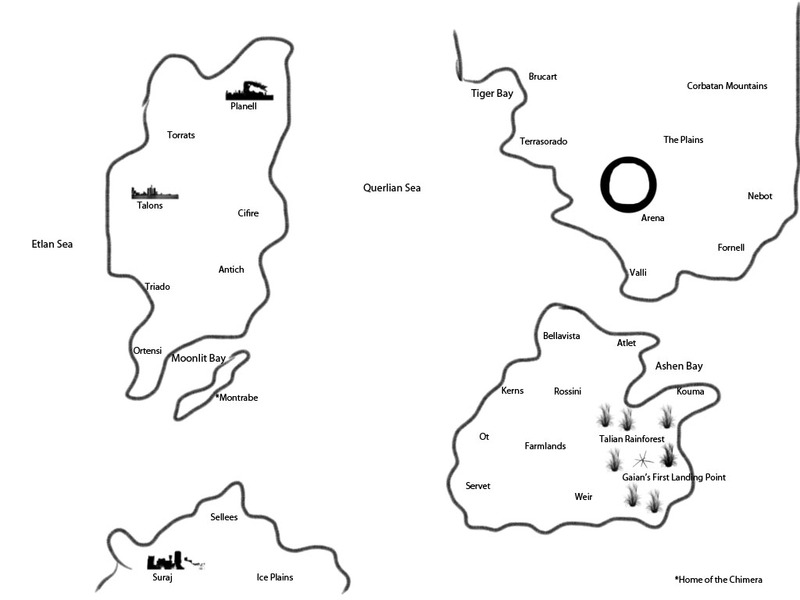 Once I have the map drawn, I scan it in the computer (or send it from the iPad to the desktop now) so I can colorize it with Photoshop and then add it into my Scrivener file for each individual storyline. 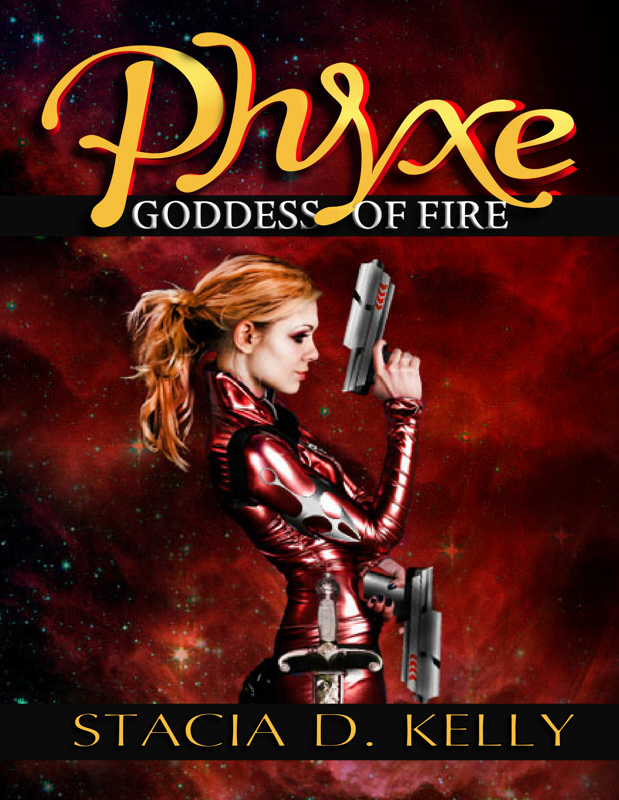 I stranded Phyxe, Goddess of Fire, on a fire planet named Firon. (Think Dune, lots of sand and caverns.) She wasn’t very pleased to find the overall planet’s energy source sleeping—the best term I could think of to describe it. Gaian ends up on an earth-based planet, while Glacial hides herself on a planet going through a natural Ice Age. Wystin has been the hardest of all, as she decided to land an alternate universe in the steam punk realm. (Much to the delight of my steam punk friends like Tee & Pip.) Her little foray has had my world-building skills off in all new directions with reversed star patterns and more. I never use all the cities and towns I have layered in, but it’s nice to know they’re there in case I need them. And, sometimes, it makes for a great Twitter game to have readers send me names too. I think that’s how I named the alien race in the last book. I’ll be taking a break from world building though with the new Urban Samurai series. While this one is set in the future, we’re keeping it real to the Washington DC area, which is giving us some great day trips to check things out in our own stomping grounds. Which do you prefer reading? New realms or ones you know? 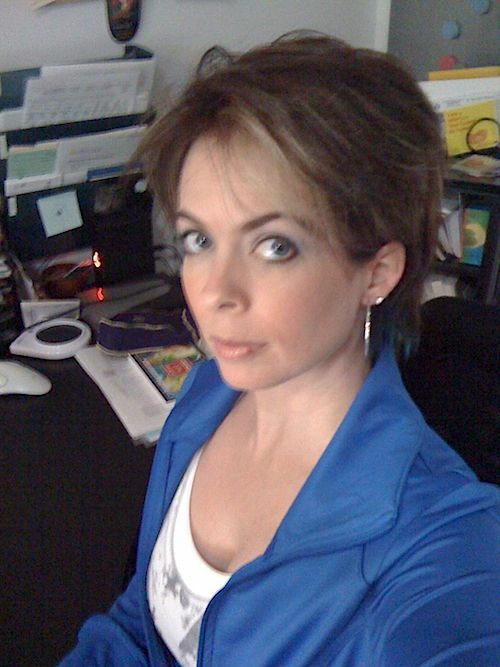 Stacia D. Kelly, Ph.D., is the author of the fiction works, Phyxe: Goddess of Fire, Ichi, and the upcoming Gaian. Her non-fiction work includes Reduce You, Muse, and Nine Months In, Nine Months Out. Read more at www.staciakelly.com. I love writing just a bit into the future. As a total technology geek, I can see where we’re going with trends among communication, biotech, security, and hacking. I like to take what we’ve seen and project it into the future. That can go to a happy place or to a really, really bad place. I like writing both. Stacia handled almost all the world building in the Urban Samurai series. My character in the book is only one layer of the onion. She built everything else. I love it. Stacia, this is fascinating! I loved hearing about how you create worlds. I’m wondering if you ever see something you really like in this world and re-invent it for one of your others? I do sometimes…I’ve got a whole folder and Pinterest board dedicated to amazing places in our realm. I love using them as springboards for new places!